I have no idea why I have never shared this recipe with y’all because it’s one that I make all the time. It’s easy, there’s no butter, and it’s pretty universally liked, except by my children who want only traditional classic Southern style green beans. But everyone else loves these green beans. 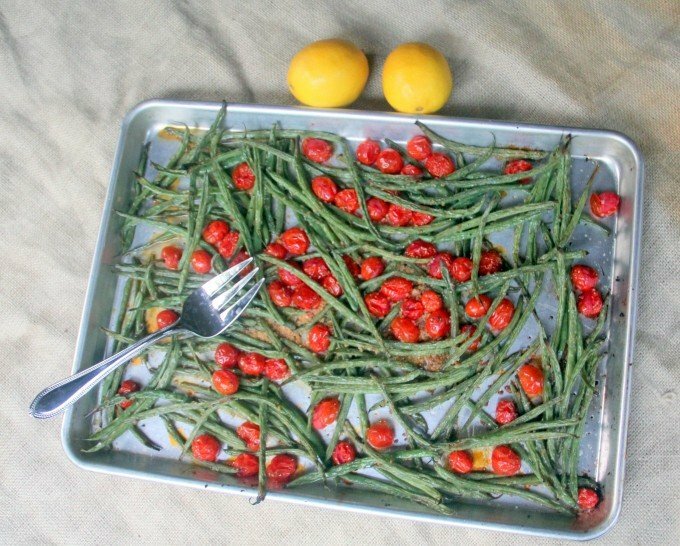 All you need are fresh French style green beans, the really skinny ones, some grape tomatoes, garlic, and olive oil. That is it. Toss everything on a baking sheet and roast at 425° for about twenty minutes. You can serve these green beans with just about anything. I serve them with any meat or pasta dish. They are a little crunchy, very flavorful, and a great midnight snack. 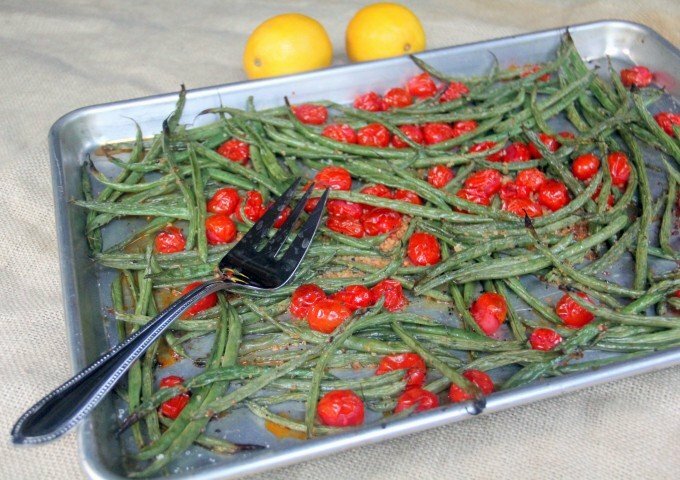 Garlicy green beans roasted with grape tomatoes are a wonderful side dish for almost any type of meat or pasta. 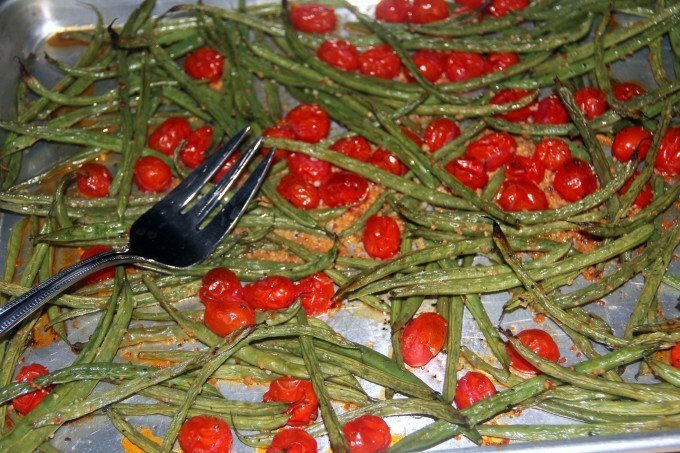 Spread green beans, tomatoes, and garlic on baking sheet. Sprinkle with salt and freshly ground black pepper. Drizzle olive oil over all. 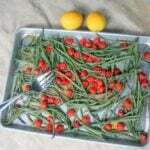 Using hands, mix vegetables and olive oil until beans and tomatoes are lightly coated. Roast for 15-20 minutes, until green beans are just starting to brown and tomatoes are starting to pop.